Click here to see the program and prayer service from Friday’s gathering. Click here to see photos from Friday night’s Pax Christi USA program. Click here to see photos from Saturday’s march to the Stewart Detention Center. Click here to see photos from Sunday’s vigil and action in front of the gates of Ft. Benning. 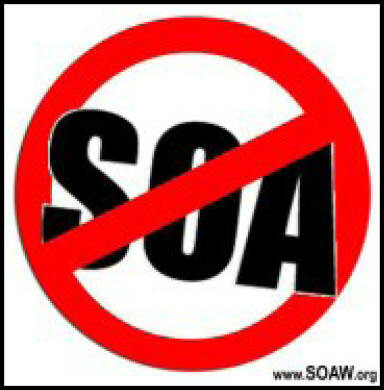 Click here to see SOA Watch’s coverage of the weekend. Click here for a short report from the SOA weekend. Each year, Pax Christi USA members and friends gather on Friday night prior to the annual School of the Americas Vigil and Action in Columbus, GA. Our program this year will include prayer, music, inspiring speakers and more. The program is open to the general public and all are invited to attend. Information on this year’s gathering is below. WHAT: Our gathering—25 years after the killing of the Jesuits and their co-worker in El Salvador—will incorporate prayer, speakers (including Honduran Jesuit Ismael Moreno and Tony Neal, President/CEO of Educational Equity Consultants in St. Louis), music and action as we focus on the resistance of faith-filled people who are challenging the militarization of Central America and cities like Ferguson in the U.S. In both Central and North America, we are witnessing a dramatic increase in the militarization of the police, army and security forces. Jesuit Father Moreno (Padre Melo) will speak on the structural violence driving unaccompanied children to the U.S.-Mexico border and how U.S. policy is strengthening heightened militarism in the region. Tony Neal will provide the national connection regarding the impact of police militarization on young people and communities of color in the U.S. including the racial injustice and militarization of protest in Ferguson and beyond. We believe that resistance, demonstrations and non-violent actions for justice are rising, deeply rooted in the Gospel mandate of peace with justice. Rev. Ismael Moreno Coto, S.J., popularly known as Padre Melo, is a Jesuit priest and human rights activist in his native Honduras. He directs Radio Progreso (radio station) and E.R.I.C, The Team for Reflection, Research and Communication, whose work encompasses: grassroots radio programming; training on human rights, community organizing, and empowerment; the formation of leadership committed to social change; and aiding migrant families. Padre Melo’s broadcast station, Radio Progreso, shut down by the military around the time of the June 2009 coup, has been occupied several times since. During this same time, over 50 journalist and social commentators have been murdered in Honduras, and many more have been kidnapped, tortured, or suffered death threats. In April 2014, one of the Radio Progreso team members, Carlos Mejia, was brutally murdered. In a press conference following the tragic event, Melo stated at a press conference that 16 ERIC/Radio Progeso employees, including Mejia, have received significant death threats since the 2009 Honduran coup. Fr. Moreno has also previously testified before the U.S. Congress at the Tom Lantos Human Rights Commission regarding the human rights situation in Honduras and the fear he and his staff and others in the journalism sector experience. 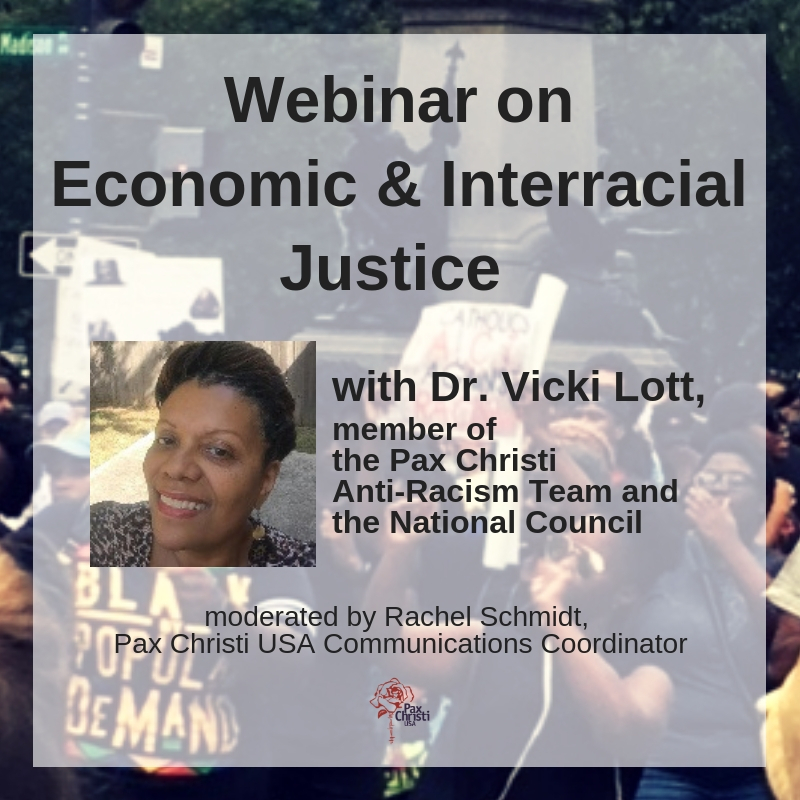 Represent Pax Christi at the SOA! Remember to wear your Pax Christi t-shirts and buttons and to bring your Pax Christi banners. 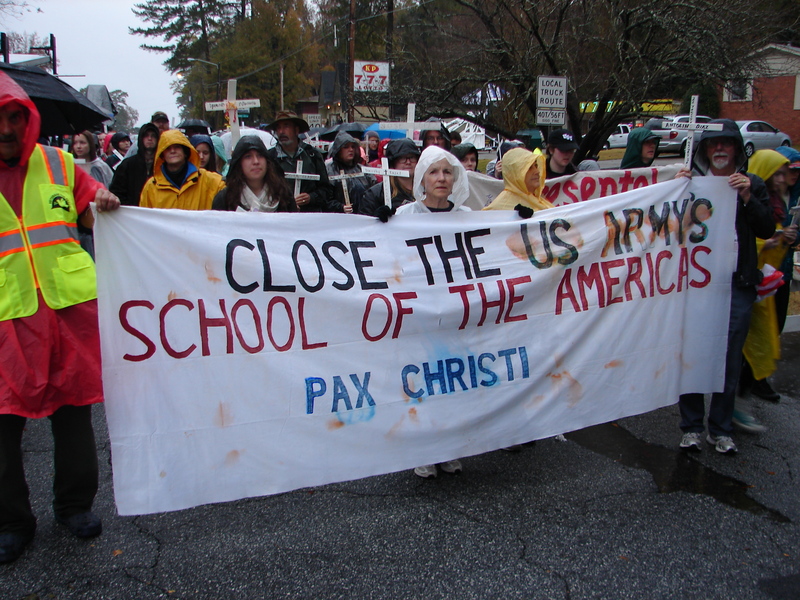 Pax Christi USA members will meet at 9am at the corner of Torch Hill Road and Ft. Benning Road (to the right when facing towards the gates of Ft. Benning) to march together in the procession on Sunday morning. Click here to see highlights from last year’s event.